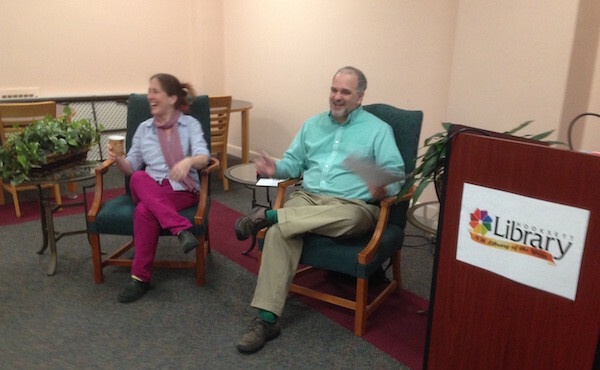 I had a great time at the Hooksett (NH) Library talking with the Merri-Hill-Rock Coop about library stuff on Wednesday. Cab Vinton from the Plaistow Library asked me what I’d like to do. I decided to break out of my normal “Here are some slides, let me talk about them…” routine and do something a little different. So I spoke for maybe 25 minutes about some Big Ideas I had for library services and then Cab and I spoke together and took questions about actual practical ways library workers could maybe work towards some of those ideals. It was a really constructive 90 minutes or so with a bunch of creative librarians who come from smaller libraries and are always doing more with less. We spoke specifically about trying to do things to make our buildings more available, lend and share more digital content, and getting outside our buildings somewhat. I stressed the point that sometimes you can’t change a thing immediately but you can advocate for that idea and support others who are able to make material changes. Having the library’s support for a thing is more useful and important than I think we sometimes appreciate. People trust us and care what we have to say. 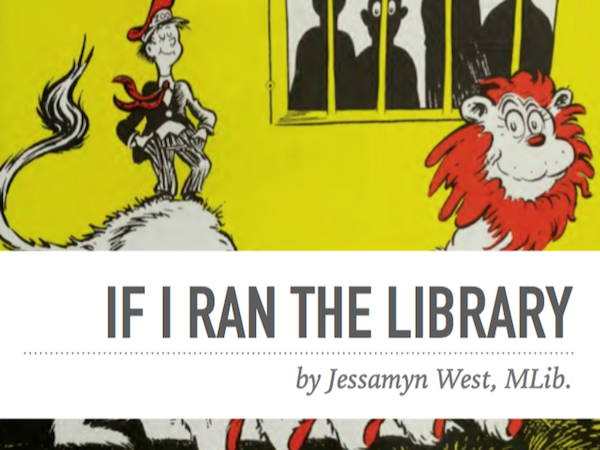 Here are my slides (with apologies to Dr. Seuss).